Note that this HR1622 appears to be an upgrade from the HR1622I that most retailers are offering. Caveat emptor. but the sum of the listed element powers is 8.5 kW; presumably the cooktop power-shares. Not every one of our partners carries every unit available. Sometimes several do, occasionally only a single one. For the Miele HR1622, the sellers carrying it, and the relevant pricing information, appear below. Note that when shipping is not free, you will have to go to that seller's page to calculate it for your location, but the cost is generally in the high two-digit range (circa $75, roughly, but varying); take it into account when comparing total costs to purchase. Also note that there are occasionally manufacturer's rebates available; we show links to further information on any available, but they are not reckoned in any prices shown—so examine any such offers and adjust the price reckoning accordingly. 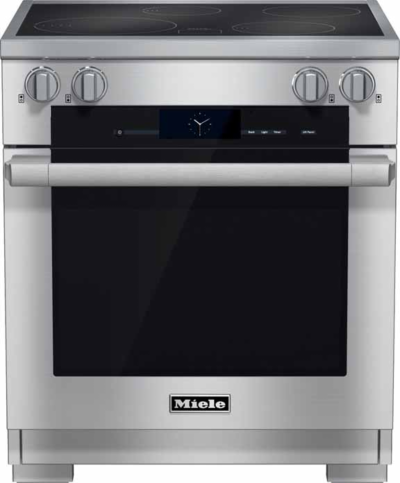 Here are the retailers offering the Miele HR1622; be sure, when examing options, to check the seller's actual availability, to assure that they have it in current stock. And if shipping is not free, you need to visit the seller's page to determine exactly what that cost is (and be sure to reckon it into your comparisons).